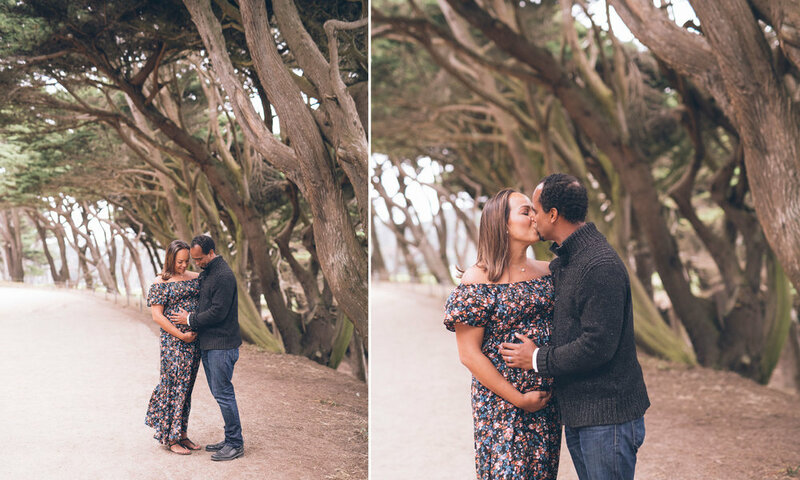 It was a lovely but slightly chilly Wednesday afternoon when I met my clients Kayla and Darius for their maternity photoshoot. 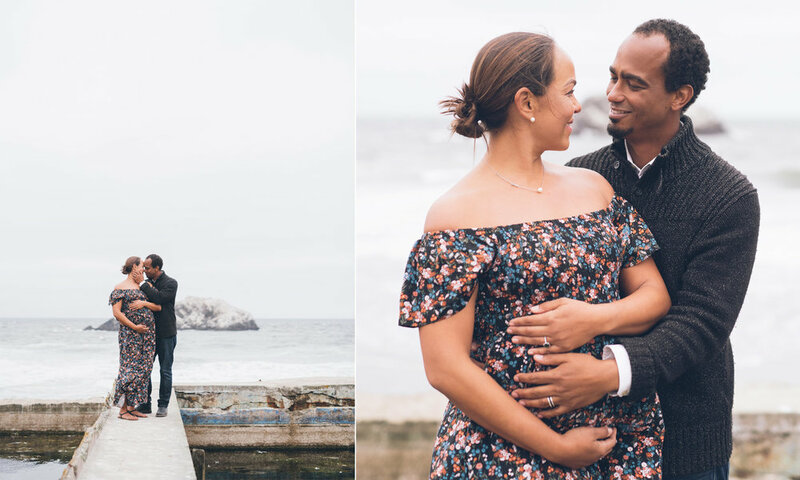 Lands End and Sutro Baths are two of my favorite locations in San Francisco for maternity photography so I was super excited to shoot another session there. The session started with the warmest hugs which set the tone up for one of the best photoshoots I ever had. Instantly, I felt like we were best of friends. 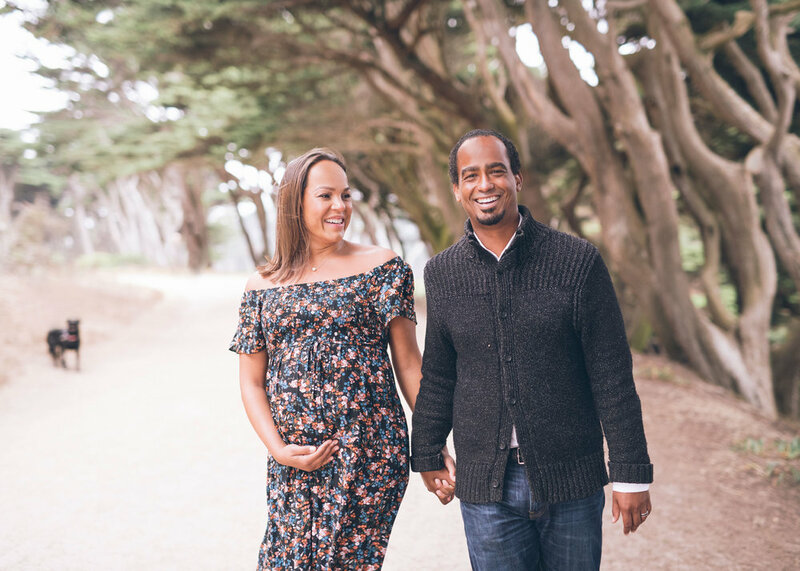 Kayla and Darius are both ER doctors who made San Francisco their permanent home. With such busy schedules it was slightly challenging to find a couple of hours of free time but I am so glad we did. They are expecting their first child and if you look at these images you can feel the love and excitement for what is to come radiating through. 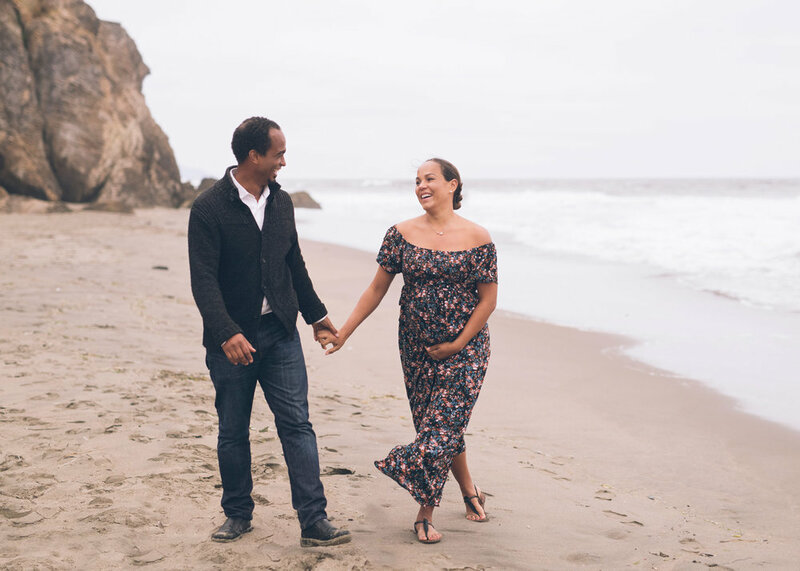 As I mentioned before Sutro Baths and Lands End are two of my favorite locations in the San Francisco Bay Area for maternity photography and they happen to be adjacent to each other. We started of in the Land End area by walking through cypress trees towards the coast then we walked through the Sutro Baths ruins down towards the beach. It’s a great location but it can be chilly and very windy. In this case, Kayla was super brave in her beautiful dress and she didn’t even mind having to tie her hair back when needed. Also, it is not the easiest of terrains but both Kayla and Darius were ready for the adventure. I can’t wait to meet their little one really soon. Their dog Desilu was super excited to be in the photos.